Do you like to stick with the spring cleaning tradition? There’s something symbolic and refreshing about opening up the house on a warm spring day, airing everything out and sweeping away the last of the winter clutter so you can welcome a new season. While you’re at it, we recommend taking that spring cleaning energy into the garage and making sure things are safe, secure, tidy and up-to-date on maintenance. As with any storage area – or spaces prone to clutter – we recommend using a sunny spring day to remove everything from the garage so you can sort through it. You may find it’s finally time to donate or dump lingering items you weren’t committed to ditching last time you organized – but that haven’t been used since. Are there any lingering holiday items? Putting away holiday decorations is the gift that keeps on giving. A week after the last box was put up in the attic or on the storage rack, you find a latent photo or door knob cover you missed along the way. 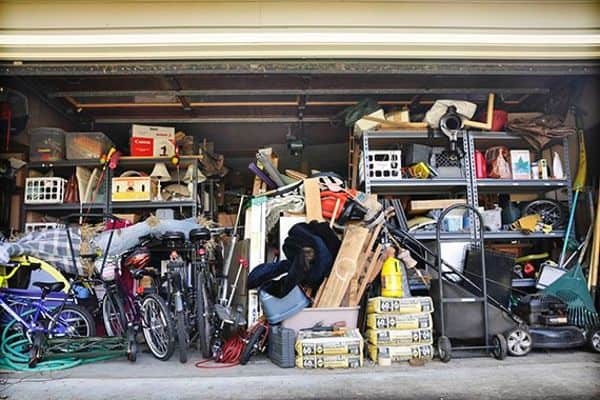 Don’t let those miscellaneous items junk up your garage. Instead, make sure you have ample storage space and put it where it belongs. Feel like decorations could be stored better? Read our post on, Solutions for Storing Holiday Decorations in the Garage. What’s the status on your landscape and gardening tools? Are the lawn mower blades sharp? Have pruning tools been cleaned and oiled? Landscape season is upon us, so early-spring is a great time to go through your mple gardening tools to give them a once-over. The better maintained they are, the longer they will last. Replace the string on your weedeater, de-rust any rusted metal, sharpen blades and oil any moving parts. You can also bring your tools to most hardware centers or garden supply stores and they can do the tool maintenance for you. Do the family’s bikes or toys need any attention? Unless you’re an avid biker, odds are the family bicycles and other toys can use a little attention as well. Clean and oil chains, check brakes, fill up tires and repair or replace tires that look worn or are punctured. Have the kids come outside and make sure their bike seats and handlebars are at the right height for newly acquired inches, and verify helmets still fit. Could you be using more overhead storage space? If the garage floor seems cluttered to you, look upwards and see if overhead storage is being used the way it could. Read, Stretching Your Garage Space to the Max, for ideas on how you can safely and accessibly store items up and over, rather than on the floor. With newly acquired square footage, you may have room to convert a corner of the garage into a man cave or hobby area. When’s the last time your automatic garage door was tended to? Most people neglect their garage doors but, like any machine, they require routine maintenance in order to run smoothly, quietly, efficiently and reliably. There are plenty of maintenance and DIY fixes you can do on your own, but some tasks should be tackled by the professionals. If you like to save a little money by performing maintenance tasks yourself, read, Four Garage Door Fixes You Should Do on Your Own. If not, schedule a maintenance appointment with a local, licensed garage door company. In many cases, your garage door’s warranty will depend on proof that you’ve maintained it as per the manufacturer’s instructions. Is it time for a garage door replacement? If you have a manual garage door, it’s absolutely time to replace it. Those heavy, cumbersome and spring loaded doors are very dangerous – especially when it comes to children and pets. The same is true if your automatic door is more than 15-years old or if it’s seriously damaged or dented. A new garage door will reward you with impeccable performance and comes equipped with all the safety features your family deserves. Would you benefit from a garage door screen? How often do you like to hang out in your garage during the warmer months? If it’s a space where you or your children spend time, we highly recommend installing a garage door screen. They will make it feel as if you gained an instant home addition – and make garage life more comfortable – less wind, no pests or flying insects, fewer leaves to sweep up and a little more privacy – while still gaining a view of the outdoors and enjoying the fresh air. One weekend day tending to some garage spring cleaning will pay off in a neat, organized and pleasant garage space – and a freshly maintained door that will perform as it was intended. 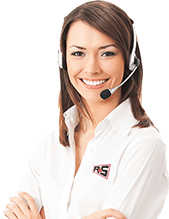 If you need professional assistance with garage door maintenance, repairs or replacement – give us a call here at R&S – (925) 671-7606 – or contact us directly online.